An explosion in a school’s grounds in the Turkish city of Kilis has reportedly killed two people, Turkish media are reporting on Twitter. It’s believed a mortar shell hit the affected area, in south central Turkey, near the Syrian border. 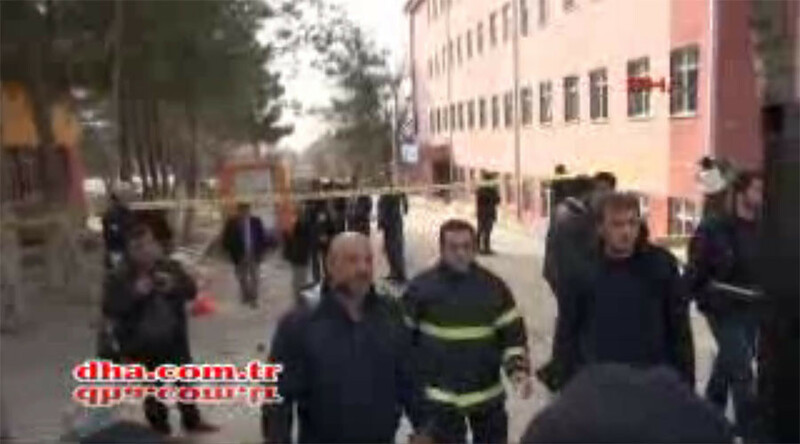 The bomb is believed to have struck the Eyup Gokce secondary school at 9:30am local time. It is reported that two people were killed and a further four injured as a result of the blast. However, Reuters says the blast occurred in a medical center, near the school. Emergency crews are at the scene, while the injured have been taken to the local hospital. Nearby schools have been evacuated following the blast. A Turkish government official said that local authorities are investigating whether the mortar shell was fired from Syria. Sevim Songun, an editor at Hurriyet Daily News tweeted that a cleaner is amongst those killed, as the shell struck the school playground. Kilis Mayor Hasan Kara told A Haber TV that mortar shells from across the nearby border had hit parts of the town in the past, Hurriyet Daily News reports. “We believe the mortar shells came from Syria. One of them hit the grounds of a school. Fortunately, others did not hit any buildings,” Kara said. Speaking to NTV, Kara urged the residents of Kilis to remain calm following the blast. “Our people should remain calm. They shouldn’t allow any provocation,” he said. Kilis is on the western edge of a roughly-100km strip of Syrian border territory, which is controlled by Islamic State (IS, formerly ISIS/ISIL). Turkish towns in the area have frequently seen artillery fire spill over the frontier since Syria’s civil war erupted. The US has urged Ankara to do more to try and seal off this stretch of border with Syria, which is used by IS for the transportation of fighters and supplies into the Syrian war zone. However, Turkey says it would need around 30,000 military personnel to do this.